The Windows Server Administrator course will give you the knowledge required to be able to learn how to deploy, manage and maintain servers. This course is for those who either want to work, or currently work as an IT Technician or Server Support Technician and who want to learn more about working within a Windows Server 2012 environment. Updating systems and software is key in most IT roles. Our Windows Server 2012 Administrator course, will give you the knowledge required to be able to learn to configure and manage NPS infrastructure, Active Directory, print services and configuration file. Not only will you learn to deploy, manage and maintain servers, but you will also gain insight into the professional working environment of a server administration – taking an in-depth look at the Server 2012 features and built in functions. Making your IT career count is key, and having the practical skills and expertise, will place you ahead of the competition. Get in touch with your local course advisor to find out more. Carear Path A comprehensive IT training course which can lead to IT roles such as Senior Systems Engineer, Systems Administrator, Systems Engineer. 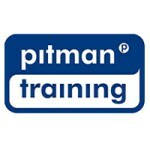 For information about Pitman Training Centre (Waterford), please visit our Training Provider page on Corporatetraining.ie by clicking here.